Newcomer Family Obituaries - Carl W. Mitchell 1928 - 2018 - Newcomer Cremations, Funerals & Receptions. 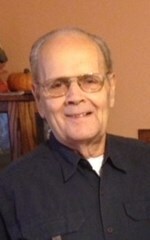 Carl W. Mitchell, age 89, of Toledo, passed away August 3, 2018 at his home. He was born October 13, 1928 in Sylvania, OH to Clarence and Myrtle Mitchell. Carl served his country in the U.S. Army. He was employed with Conrail for more than 42 years retiring in 1989. Carl is survived by his wife of 71 years, Gertrude Mitchell; sons, Byron (Claudia) Mitchell and Gary Mitchell; 5 grandchildren; 4 great-grandchildren; 2 great great grandchildren and sister, Vera Oats. The family will receive guests Tuesday, August 7, 2018 from 10:00 a.m. - 12:00 p.m. at Newcomer - West Sylvania Chapel, 3655 King Road, Toledo (419-392-9500). Funeral Services will begin Tuesday at 12:00 p.m. at the funeral home. Burial will follow at Ottawa Hills Memorial Park Cemetery. Memorial contributions may be made to Westside Community Church in Carl's memory. To leave a special message for Carl's family, please click on the share memories tab above. Add your memories to the guest book of Carl Mitchell.